As the global population continues to grow exponentially the demand for food becomes ever more pressing. In order to supply this mounting demand, the world’s crop production must increase through optimised methods, fertilisers, agrochemicals and pesticides. Nonetheless, with strict regulations regarding contaminants including pesticides, mycotoxins and heavy metals the manufacturing of food and drinks must be monitored vigilantly. Analytical instrumentation technologies and methods on a mass spectrometer alongside gas chromatography allow this food safety promise to be guaranteed. After many scandals over the last few years, food safety has become a major concern for the European population. From the horsemeat scandal in 2013 to the more recent detection of mineral oil and plastic in chocolate products, it is a huge priority for the European Commission to re-establish people’s confidence in the food products that they are purchasing. This is why the discovery that Triple Quadrupole Mass Spectrometers (like those at the Bio-Analysis Centre) have the ability to detect pesticides in food products is so important. The use of herbicides, insecticides and fungicides reduces crop losses both before and after harvest; however, any residues resulting from the use of these plant protection products have the potential to pose a risk to human health. For this reason, a legislative framework to monitor food contamination has been put in place. A default value of 0.01mg/kg is applied for Maximum Residue Levels (MRL’s) in national programs in the US, Europe and Japan. Highly sensitive and specific analytical techniques are needed to monitor these MRL’s and to inspect the steadily increasing number of pesticides in food products today. 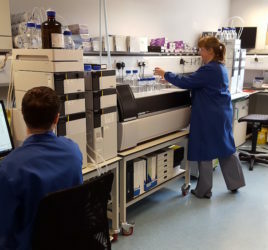 The Triple Quadrupole Mass Spectrometer has high sensitivity and speed and this combination both expands the potential range of applications and dramatically improves analytical throughput of this technology. Using the Pesticide MRM Library, a single multi-residue LC-MS/MS method has been developed for the detection of 646 pesticides (3 MRM transitions for over 99% targeted pesticides resulting in 1,919 transitions in total). 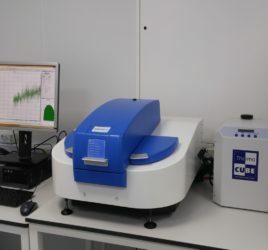 The establishment of this technique now allows for regular analysis of LC-amenable pesticides and environmental contaminants in foods. 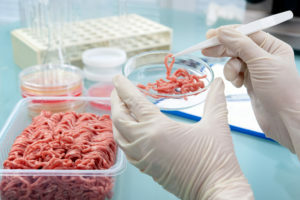 It is hard to overestimate the importance of accurate analysis of food contaminants as incorrect results in testing can both be detrimental to food safety and costly to the food industry. The discovery that the Triple Quadrupole Mass Spectrometer can be used for the detection of pesticides is a significant step in the right direction in the journey to provide safe and sustainable food for all.